The disturbed Dr. Victor Frankenstein had his real-life roots in Dr. Giovanni Aldini. 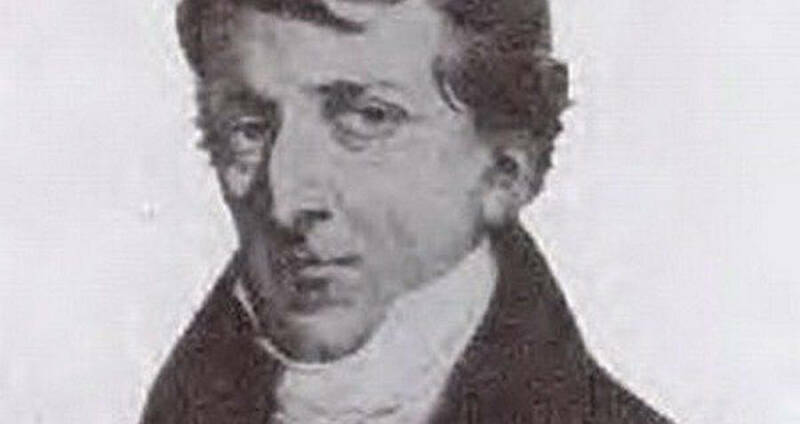 When Giovanni Aldini was a child, he would watch his uncle, Dr. Luigi Galvani, perform experiments. For more than ten years, Dr. Luigi Galvani had devoted his studies to frogs. Specifically, dead frogs. He had studied the way that the legs of the unfortunate amphibians were connected, and realized that if stimulated with an electrical current, they twitched. Furthermore, he believed that if he stimulated the fluid that connected the nerves to the entire body, he could reverse the effects of death. In short, Luigi Galvani believed he could raise the dead with electricity. After watching his uncle perform these macabre experiments, it was no surprise that Giovanni Aldini would go into the same field. After studying at the University of Bologna, he followed in his uncle’s footsteps and began experimenting with reanimating dead frogs. However, upon his uncle’s death, Aldini began to crave something different, something more exciting. He began performing the same experiments as his uncle had on frogs, on larger animals, with more sophisticated nervous systems. Soon, Aldini was drawing crowds to his laboratory as he attempted to reanimate sheep, pigs, cows, and oxen. For the most part, Giovanni Aldini was successful. As he applied electrical impulses to the corpses using a battery, the animals’ heads would shake from side to side, their eyeballs would roll, and their tongues would roll out of their mouths. Before long, attending one of these gruesome performances became all the rage. However, Aldini soon grew bored of his experiments. He felt that he had achieved all he could with the bodies of dead animals and that they were no longer stimulating enough for him. 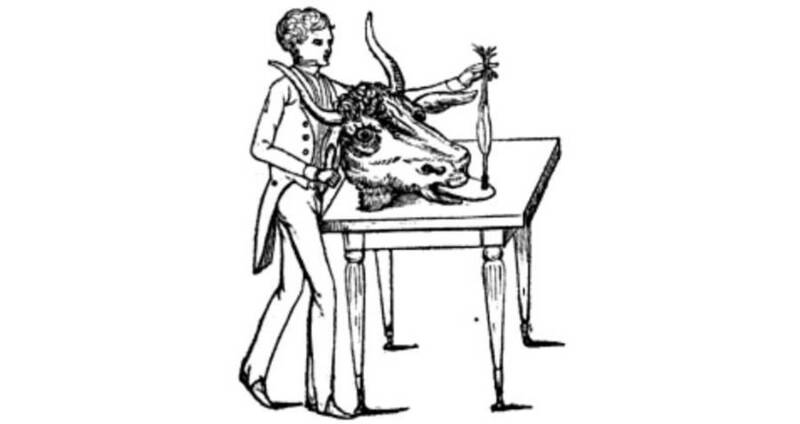 Wikimedia CommonsAldini performing experiments on an oxen. So, of course, the natural progression was to move on to humans. In the early 1800s in Italy, procuring a recently dead body was much easier than it is today. To find subjects for his experiments, Aldini simply headed over to Piazza Maggiore, and wait for the executioner to behead his next victim. Aldini soon realized, though, that the solution to finding his bodies also presented a problem. The beheaded bodies were often drained of blood, and without blood in the veins, the electrical impulses had nothing to travel through. His battery was useless against a headless corpse. However, there was a light at the end of the tunnel. While Italy executed their criminals by beheading, England still used the gallows. So, Aldini did what any self-respecting medieval doctor would do, and traveled to London, where he ordered one freshly hanged criminal to be delivered to the Royal College of Surgeons. The body was that of George Foster, who, though he had enjoyed a life of relative anonymity, would soon become one of London’s most talked about dead men. Almost immediately upon his arrival at the Royal College, Aldini attached the probes to Foster’s body and powered up the battery. Aldini left the probe connected for hours, and through it, all, the crowd that had gathered watched with bated breath as his jaw quivered, his facial muscles contorted and his left eye opened. At one point, Foster’s corpse even appeared to inhale. Eventually, Aldini’s battery died, and along with it Foster — this time for good. Though Aldini considered his experiment a failure, as Foster had ultimately failed to return to life, the doctors who had witnessed it considered it a miracle. News quickly spread of Aldini’s feat, how he had opened an eye, and maybe even breathed. And, as with every story, the tale became exaggerated. 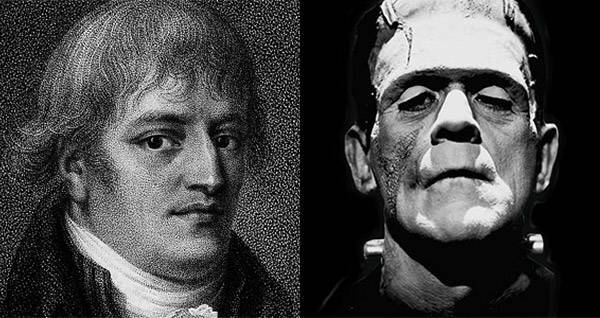 By the time it had reached the ears of little Mary Shelley, the daughter of a friend of Dr. Giovanni Aldini’s, the tale had grown to include Foster’s arms lifting and his head spinning. 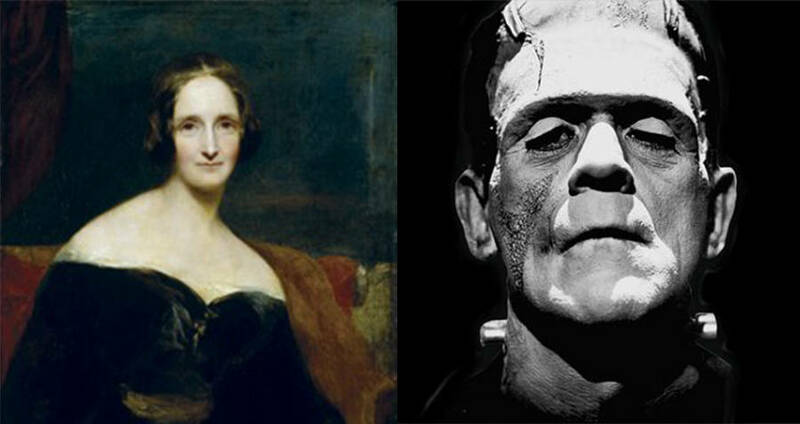 Though Aldini may not have fully thought through the consequences of his work, or even continued trying to reanimate the dead, little Mary Shelley took it to heart, and later drew inspiration from the tale she’d heard as a child when she sat down to write a book. Her titular character, Dr. Victor Frankenstein, bears a striking resemblance to Giovanni Aldini, in his mannerisms and his intentions. However, the resemblance, thankfully, ends there, as there’s no telling what George Foster may have done had Aldini’s battery been successful. Next, meet the man who inspired the tale of Dr. Jekyll and Mr. Hyde. Then, read about other legends that were inspired by real-life horror stories.